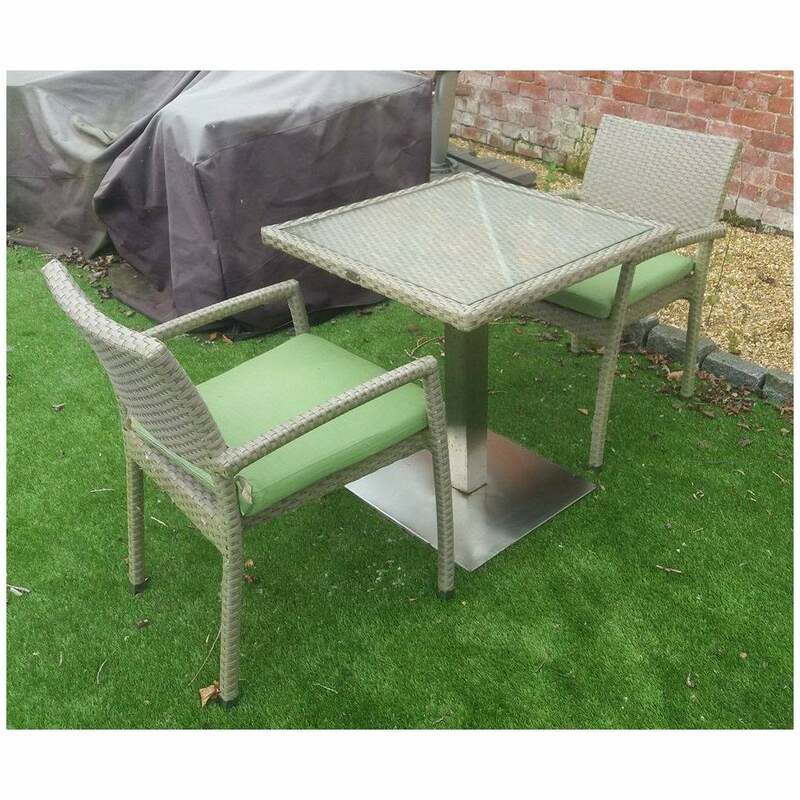 A high quality outdoor bistro dining set perfect for a patio or balcony. We're offering this ex display set at a fantastic, one off price. The set comprises of a glass topped bistro garden dining table with 2 stylish Truffaut dining chairs in silver walnut weave. Includes seat cushions with waterproof liners in green fabric. Please note: The image is of a different finish to that offered. There is some tarnishing to the table base - the set is available to view at our showroom, please contact us for details.